Being involved in a road accident is a terrible situation. But, if you are injured and subsequently discover that the driver at fault was not insured, fled the scene or cannot be traced, a difficult situation is only compounded; and for those who are seriously injured it is nothing short of a nightmare. Fortunately, it is still possible for injured parties to be suitably compensated. A good personal injury solicitor can help clients ensure an appropriate level of compensation by submitting a claim through the Motor Insurers Bureau (MIB). Although it is possible for injured parties to represent themselves through the MIB claims process having specialist legal representation is always advisable. The MIB is a central fund that was created in 1946 to tackle the problem of negligent uninsured or untraced drivers. It is funded by all of the motor insurance companies in the UK and pays compensation to the victims of road traffic accidents caused by uninsured or untraced drivers. It is estimated that around £30 of every motor insurance premium in the UK goes towards funding the bureau. The MIB also runs the Motor Insurance Database, which keeps a record of all insured vehicles in the UK. This in turn helps the police to identify vehicles that are not insured, so that action can be taken against their registered owners. The MIB is integral to the rights of every law-abiding motorist: research suggests that each year uninsured and untraced drivers kill around 130 people and injure more than 26,000. If you or a member of your family has been hurt in a road traffic accident involving an uninsured driver, specialist advice is essential to achieve the best possible outcome. Thompsons Solicitors are experts in all types and categories of road traffic accident claim. 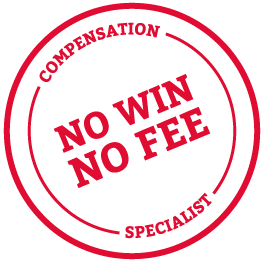 Our specialist lawyers will be happy to talk you through the process of making a compensation claim against an uninsured or untraced driver and to answer any questions or queries you may have. Give us a call on 0800 0891 331 and we can discuss your options, free of charge and with no obligation.